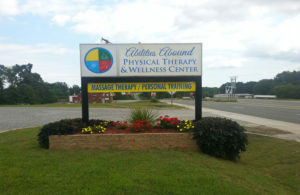 Th e mission of Abilities Abound Physical Therapy and Wellness Center is to enhance the overall physical health, fitness, and quality of life of adults by treating and educating them with high quality, comprehensive and individualized physical therapy services. Abilities Abound leads in musculoskeletal healthcare by serving, rehabilitating and caring for the total patient. Our commitment to patients and the community is demonstrated by consistently engaging in continuing education in order to provide the most modern and advanced services and utilizing state of the art rehabilitative and recovery care equipment. At Abilities Abound you can depend on a personalized and specialized therapy experience each and every time you are with us. Remember, helping members of our community reach their goals using the natural Abilities Abounded to them is what we believe in.